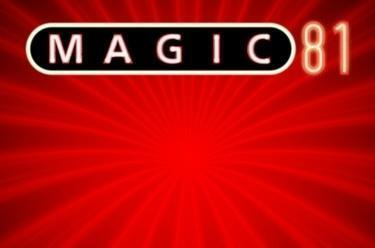 Play Magic 81 Lines™ online for free now! So many winnings - there must be magic in the mix! 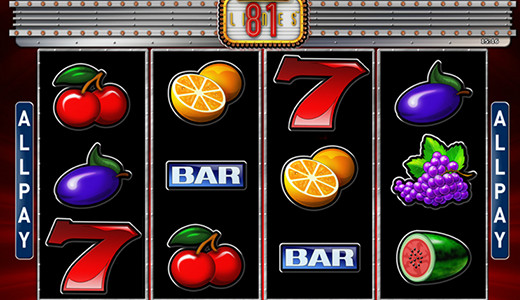 This AllPay slot with 4 reels will conjure up legendary Twist sums on your player account! And if the "Magic 81" symbol is a part of your winning combination, your player account will be really jingling with raining Twists - you could receive 2x to 8x that of your regular win! Magic 81 Lines™ is played on 4 reels with AllPay. There are no set win lines in this game. Rather, you land a win when you, starting from the leftmost reel, land 3 identical symbols on 3 neighbouring reels. The 3 identical symbols don't have to be at the same height on the reels to count as a win. The aim of the game is to land identical symbols on all 4 reels in a single spin. Land "Magic 81" symbols as part of a winning combination to really heat up your player account: Land 1 "Magic 81" symbol to double your win, 2 "Magic 81" symbols to quadruple your win or 3 "Magic 81" symbols to multiply your win eightfold!